A beautiful pillow for my glam bedroom decor! The shimmer and shag of the pillow adds perfect texture to my bed. Looks better in person. International designer Michael Amini combines his world travel inspiration with Nourison's renowned craftsmanship in home textiles to create this superb collection of unique decorative accessories. 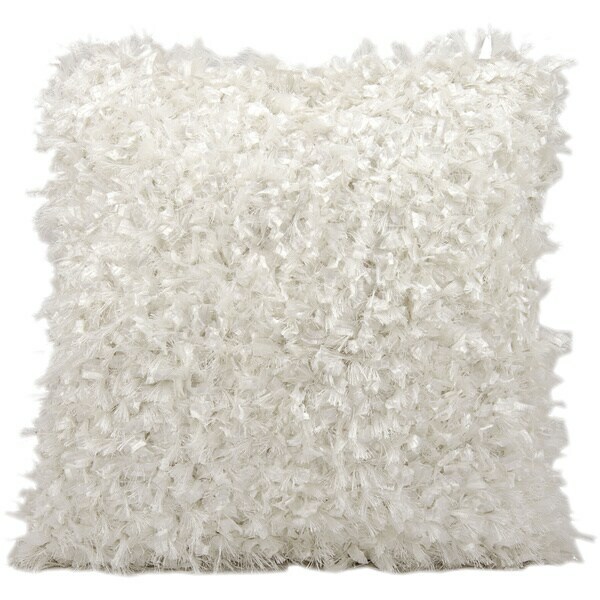 The refined beauty of this meticulously made accent pillow reflects decades of expertise and dedication to quality. It is the perfect fashion for the home - both alluringly modern and tastefully classic. Made from the finest raw materials and using state-of-the-art manufacturing techniques, these exceptional designs bring any room to life. Wow--this pillow is extremely high quality and I'm very pleased with it. It needs a little fluffing out after arriving in packaging, but I can tell this is going to be a durable and beautiful accent pillow for my sofa. I'm very pleased and highly recommend it! Oh these pillows are a must have. The are beautiful and if you need texture to your textiles on the bed these pillows will stand out! Beautiful pillow. Exceeds my expectations , excellent quality. Great decoration! Only cons are the pillow sheds like crazy. I should have read the previous review about the shedding before I bought it. I still like the pillow though! These are bright with nice reflective quality. They look great on the teal coverlet I also bought on Overstock. They would not be soft to sleep on. This is really a FUN accent!! Just what I wanted!! This beautiful pair will accent my pink window stool. The fabric is shiny and soft. Nice pillow with a very minimal silver shimmer thread. Just as pictured. Very pretty and size is great.